Singapore’s Merlion – Which Is The Original? Singapore (Singapura) is known as the “lion city”, and its famous Merlion statue is the symbol of this tiny South East Asian city-state island. 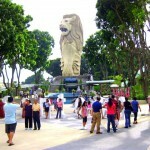 Currently, there are five Merlions around Singapore recognized by the STB (Singapore Tourism Board). But which one is the original statue? 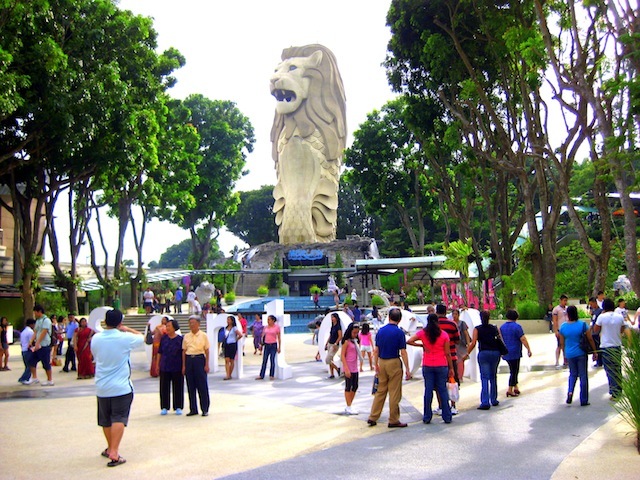 Although there is a 37-metre-tall gigantic replica on Sentosa Island (photo on the right), a 3-metre-tall one at Tourism Court, and another at Faber’s Point, the original Merlion statue is actually located at Merlion Park. However, the statue was not always located at Merlion Park. In 1972, then-Prime Minister Lee Kuan Yew officiated the installation ceremony of the original Merlion statue at the mouth of the Singapore River. 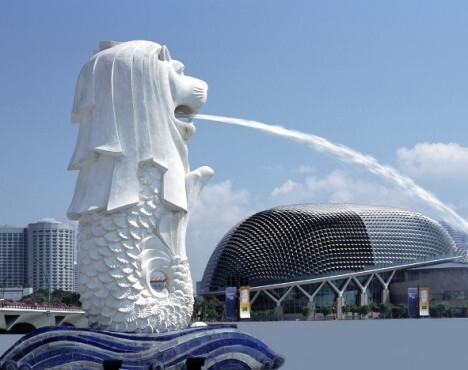 But in 2002, the statue was relocated 120 metres to the Merlion Park that faces Marina Bay where it currently stands in front of The Fullerton Hotel. One of Singapore’s most popular tourist attractions, this free, 24-hour, family-friendly destination can be found at One Fullerton, Singapore, 049213.